Achiezer and Hatzalah will continue their free community wide health training series. 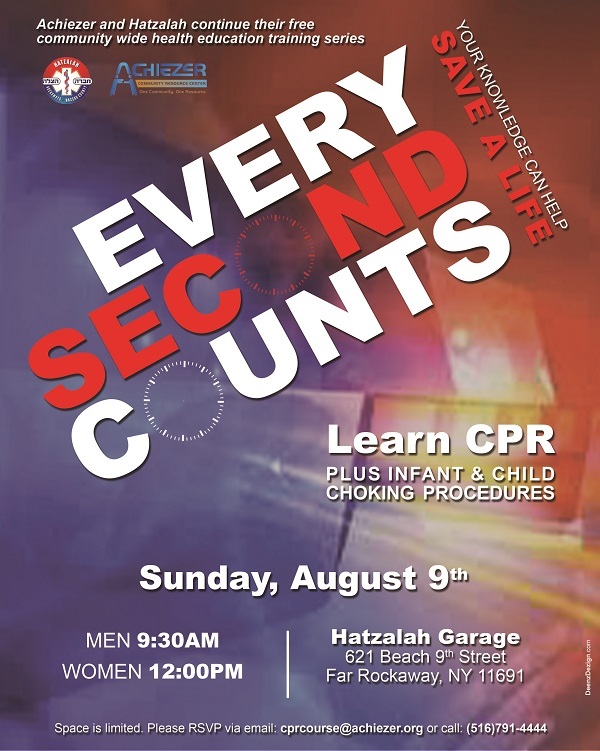 On Sunday, August 9th, 2015 two classes will take place at the Hatzalah garage located at 621 Beach 9th Street in Far Rockaway. A class for men will be held at 9:30am and a class for women will be held at 12:00pm. Attendees will be taught CPR and infant/child choking procedures. To register for the class please email cprcourse@achiezer.org or call 516 791 4444.